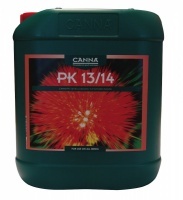 CANNA PK 13/14 is a dynamic flowering super booster that will totally amaze you. It is an extremely concentrated formulation containing a carefully balanced and integrated blend of pure phosphorous and potassium elements for superior flowering results. This unique combination of elements can be called a super bloomer that develops heavier larger and sweeter crops extremely quickly. CANNA PK 13/14 has been proven by professional growers worldwide to increase the weight of your harvest significantly - crop after crop. 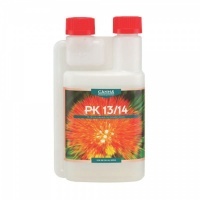 Unlike substandard potash products, CANNA PK 13/14 has a guaranteed composition of 13% P2O5 and 14% K2O. CANNA PK 13/14 is totally unique and absolutely safe. It is easy-to-use and incredibly effective. This is a proven product that every grower should be using.